Welcome to Stockport Oven Cleaning company website, your local professional cleaning specialist for Ovens, Hobs, Extractors, Microwaves, BBQ's, Range and AGA. Stockport Oven Cleaning use products that are environmentally friendly, non-caustic or toxic, making the process safe for children and pets. This also means no fumes or residues are left behind and it is safe to use your oven straight away. We use a child and pet friendly, bio-degradable unique process on your oven which ensures you have a hygienic and fume free kitchen. 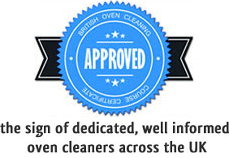 Our fully trained oven specialists will remove all the burnt on carbon, fat and grease from your oven, Range or AGA. The professional oven clean will leave your oven looking like new that standard cleaning processes could never achieve and your oven is ready to use straight away. Stockport Oven Cleaning guarantee you will be delighted with your oven when we are finished and have all inclusive prices (no hidden extras or VAT), call us today to book or for a free over the phone professional oven clean quote. Please leave a message if I am not available and I will call you back ASAP, I might be in the middle of creating another dazzling clean oven. We professionally clean all ovens and hobs including AGA and Range. Professional friendly and prompt service. 100% Eco friendly & biodegradable products.